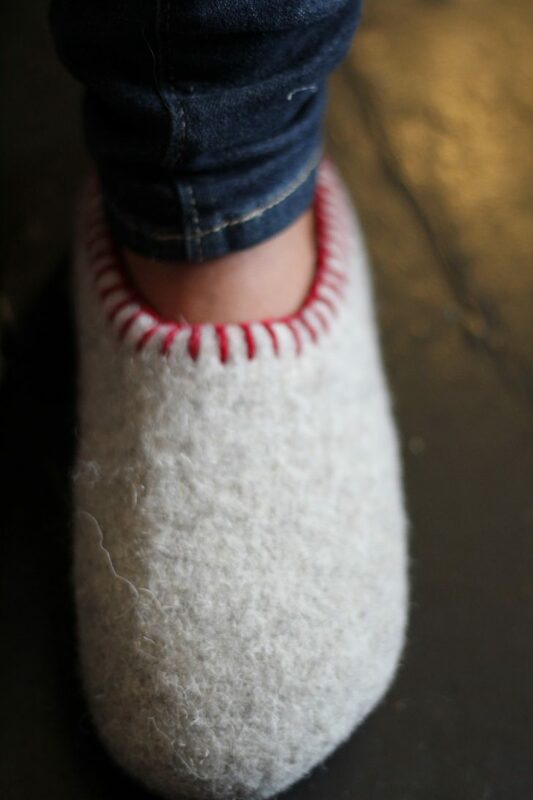 These felted slippers are a very quick and easy project with a simple construction, making them an ideal choice for gift knitting. Sized for 20.5/23/25.5 cm (8/9/10″) foot circumferences. The clog length is customised. You will need 256 – 384 metres (280 – 420 yards) of a pure wool aran yarn. The pictured sample was made with British Breeds ‘Swaledale Aran’. The simple embroidered edging is optional, and may be applied with any scrap yarn. Suggested needle size is 7mm/US 10½. Tension/gauge before felting is 12 stitches and 16 rows per 10cm/4″ in stocking stitch/stockinette, knitted with the yarn held double. 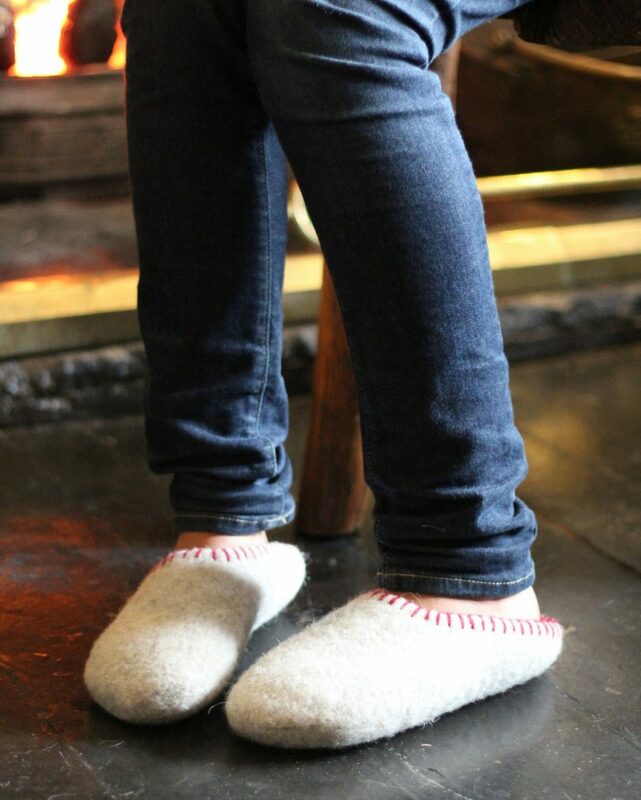 The pattern includes full knitting instructions and clear guidance for the felting. Please take care if substituting yarn for this project. Many pure wool yarns have been treated to prevent them from felting, so that they can be washed in a machine. If in doubt test a small swatch to check it will felt before starting the project. 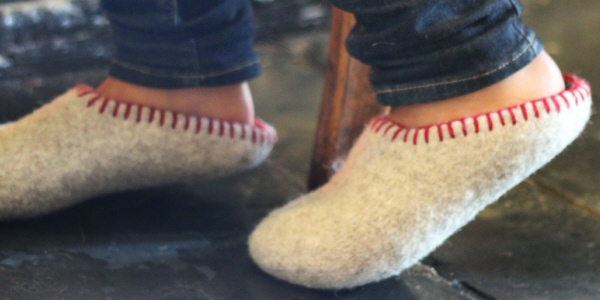 The Swaledale Clogs pattern is also available in ‘Born & Bred’ (see ‘Books’).